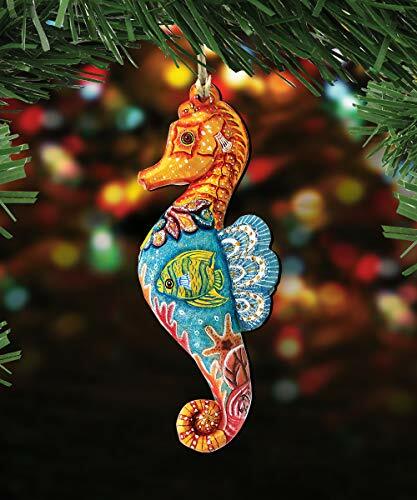 Invite the beauty of the season into your home with G.DeBrekht’s Holiday Christmas Keepsake Wooden Ornaments – Keepsake wooden Ornament that makes wonderful nostalgic Christmas gifts. The old world classic art includes animals, nature, winter scenes, Santa Claus, the nativity and more. Christmas is a special time for families, and with G. DeBrekht holiday home decor you can choose your own unique style and create a memorable holiday art gallery for your family and friends to enjoy. Capture the essence of Christmas with a handmade work of art by G. DeBrekht. Each one of these ornamental pieces is hand crafted and created with the utmost attention to detail.